If you don't want to see spoilers, then look away now! The Wildest Dreams book box starts at just £18 a month, and it's a little box of self care containing a newly released YA book, a bath/body/home product, and a bookish tea. There's always a little extra surprise in there too, which is a fantastic personal touch. There is only a week or so until the October box ships and the November box goes on sale, so I thought I'd share the contents of my September box before I forget. This was another excellently curated box from Zoe. Everything fits the theme fantastically. I think my favourite thing was the Hunger Games inspired tea blend - it's vegetal and floral and fruity all at once, and a delight to drink. The hibiscus really elevated the natural sweetness of the tea. I found that I could brew the leaves twice before the flavour started to change, so I really got a lot of use out of the tea. When brewed, it is a vibrant bright pink, and it really does smell like cherry and rhubarb, the second brewing is a paler pink and more subtle. I used my own tea strainer for the tea, I actually save up the disposable teabags from my Wildest Dreams boxes and use them for making bouquet garni when I'm cooking. 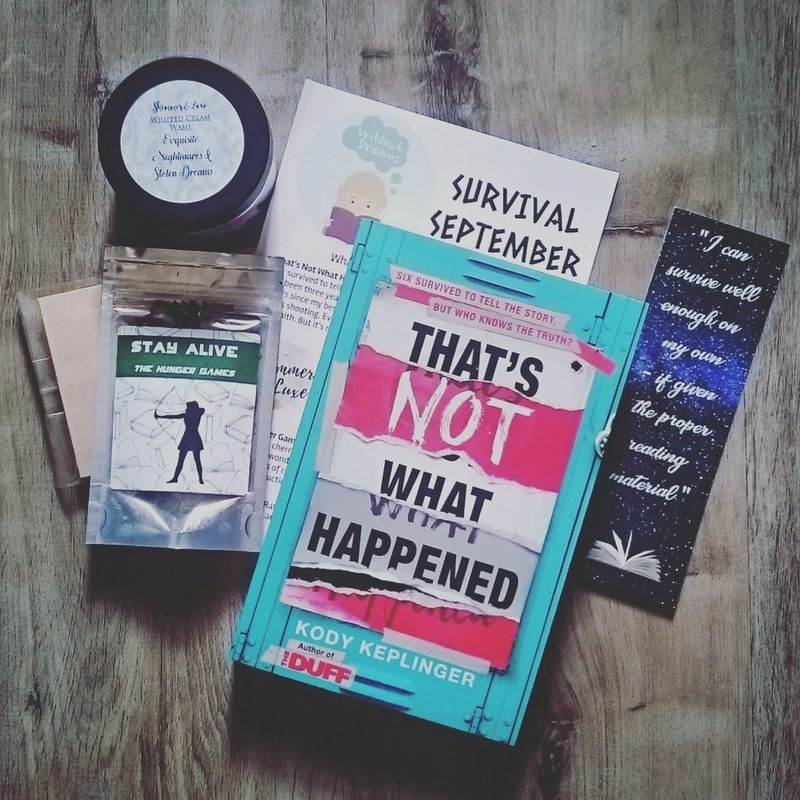 That's Not What Happened by Kody Keplinger is a fantastic read - I rated it four stars when I read it. I loved how the book isn't so much about the immediate aftermath of tragedy, but focuses on how people are shaped and changed by that tragedy years later. The tragedy is not central to the plot, and the story explored friendship, faith, sexuality, secrets, and trying to move on. The whipped cream wash is gorgeous, and a little goes a long way! It is packed with coconut oil and olive oil and it left my skin delightfully soft. I couldn't stop stroking my arms all day. My skin even looked more hydrated. I have sensitive skin, so I really appreciated that it was SLS free, and it's currently my self-care Sunday treat. I absolutely loved this box, it feels like every box is even better than the last and I look forward to it so much. It honestly is like self-care in a box. This sounds like a really cool subscription box! I really like that you get a YA book, i think thats really awesome that you get a new book every month and it gives you a chance to read new books you might not of heard of or picked up yourself. Plus the other 'homey' items are so cute as well!! I honestly love the sound of this box, I love how well curated it seems to be! That book sounds fascinating, I'll have to properly investigate it. And although I don't drink tea, I think I would if it was bright pink! So glad you liked what you got! I absolutely love the sound of this box. Survival september! Everything inside sounds so cool! That tea and that book especially! 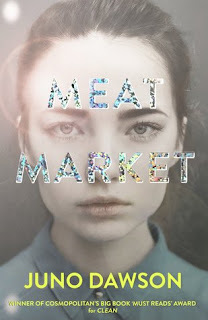 Loving the sound of the Kody Keplinger book I may treat myself to that, im in a YA mood right now. This looks like such a great box! I like to see about other subscription boxes and what they offer. Always lovely surprises inside! Thank you for sharing.